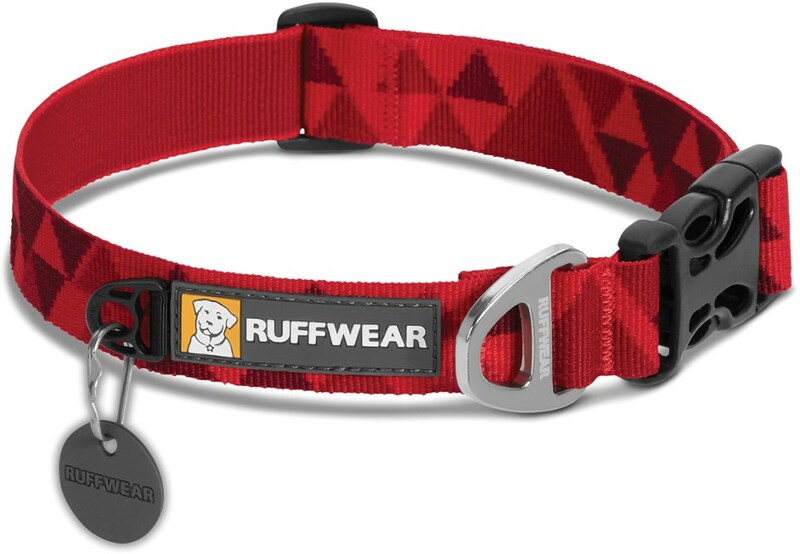 The Ruffwear Chain Reaction Collar is a martingale-style collar that combines Ruffwear-designed TubeLok(TM) webbing and a short section of stainless steel chain. 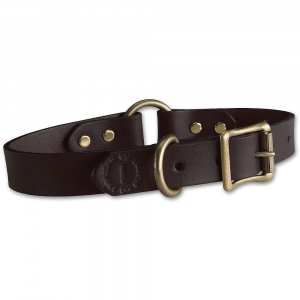 This collar provides limited correction with an audible cue making it a great training tool. 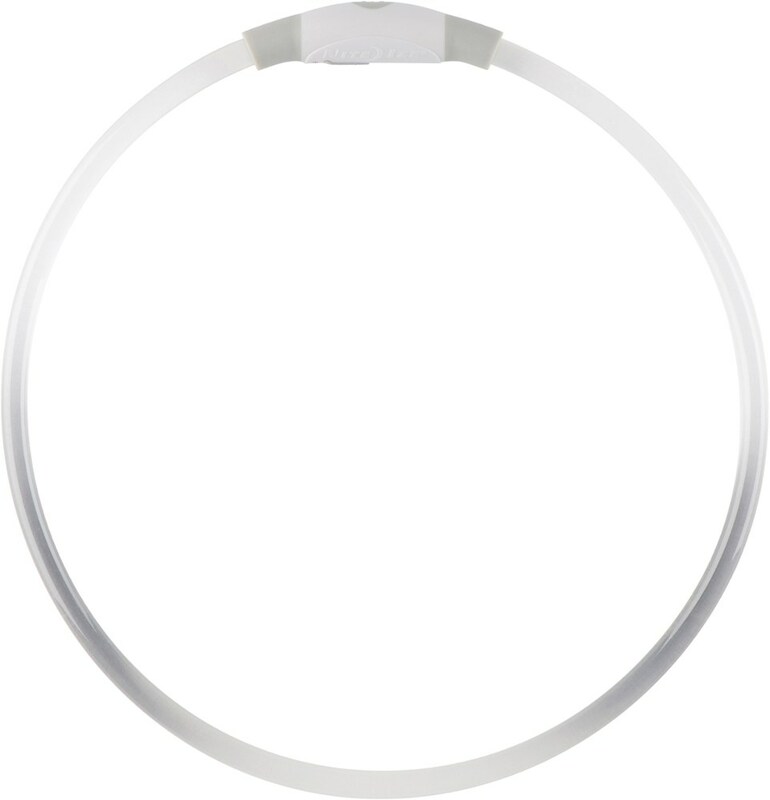 In addition to the chain attachment point this collar also features a V-ring attachment option for use as a standard collar. Packed full of Ruffwear's essential collar features: separate ID tag attachment point with tag silencer strong and comfortable webbing and aluminum V-ring. Integrated reflectivity keeps dogs visible in low-light conditions. Available in four color options. Try our matching Slackline(TM) Leash for the complete set up. Fido's an excitable pup, so keep him in check when that poodle struts by at the dog park with the Ruffwear Chain Reaction Collar. 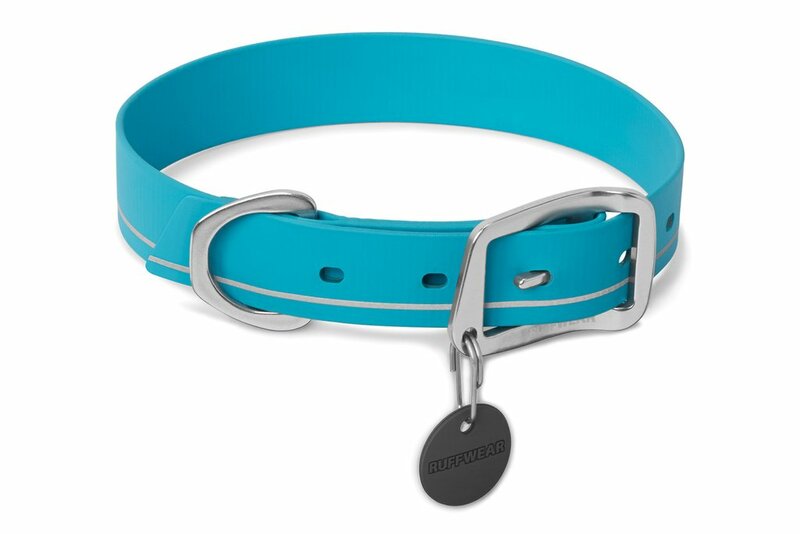 Made from Ruffwear's Tubelok webbing and a short section of stainless steel chain, a quick pull on the leash reminds your pup with an audible jingle not to pull on the end of his or her leash. Excellent training and daily use collar when a humane and limited correction is preferred. CLOSEOUTS . 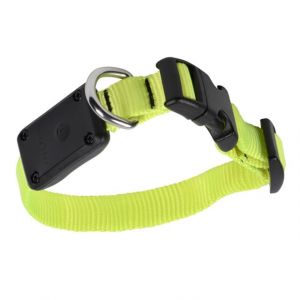 Ruffwearand#39;s Chain Reaction dog collar is an excellent training tool for stubborn dogs who arenand#39;t responding to your pleas for not pulling on the leash. 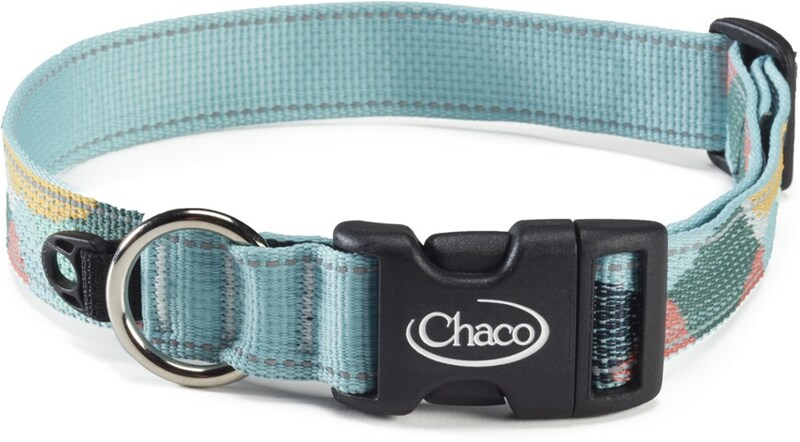 The Martingale-style collar is safer than all-steel cinch collars because it doesnand#39;t choke, but instead offers neck pressure and an audible cue for the dog to associate with a correction. Available Colors: GRANITE GRAY, METOLIUS BLUE. Sizes: L, M, S.